Hurry, you only have a few weeks left to book your children in holiday camps this summer. FranceinLondon.com has selected five of them, all members of the British Activity Holiday Association (BAHA). This organisation sets the security guidelines for the UK camps. BAHA is closely linked to Ofsted (Office for standard in education) and regularly carries out inspections amongst its 60 members. 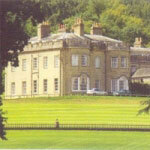 Moorland Hall has open access to Dartmoor and is 15 miles from Plymouth. "The key to success is to learn English in a friendly environment" points out the brochure. A beautiful location and quality of the teaching are the two main selling points of this camp. The children reside in a superb Victorian Country House situated near Plymouth. In addition to its wide range of activities (approx. 20 amongst which you will find horse riding, surfing, archery, rock climbing, gorges walking...), There is an option to take English tuition lessons which are conducted by qualified TEFL teachers and reports are sent to their parents after their return. They also keep a diary that they will then be able to show to their parents after their return" Explains Sue Davies, who manages the camp with Jo and Kim Farrington, owners of the property. Capacity: c. 35 children per day. Aged between 9 and 15 years old. We have children from all over Europe, including Spain, Austria, Italy, Holland, Belgium, Switzerland. Cost: £450 per week excluding English lessons which is £120 per week and transfers of £90. Children allergic to sports abstain! Exsportise is a camp especially dedicated to passionate, beginners or experts in various sports. Five options are available to get acquainted with or to improve in the following sports: tennis, golf, hockey, football, horse riding, rugby, basketball, swimming, cricket, and netball. The option "sport and language" gives the opportunity to have the best of both worlds: sport in the morning and English in the afternoon. " Foreign children usually prefers this option because it helps them improve their English during specific classes and then mix with English speaking children during the rest of the day", comments Toby Batchelor, in charge of admissions at Exsportise. Exsportise's point of difference lies in its highly professional staff. Each year, sports people with international reputations come to advise and share their experience. In 2003, Nick Fuldow (Ex. Davis Cup player) and Mike Davis (ex. Manager of the English Rugby team) were amongst the VIP guests. The company has three camps in the South-East of England (Seaford College, Clayesmore School, Lord Wandsworth College), one in France and one in Spain. Capacity: Between 100 and 140 children aged between 9 and 16 per week. Bookings: Preferably between January and end-April. Cost: Between £379 and £529 full board. The camp takes its name from the river on which it lies. The mill or rather the farm, is right in the heart of Somerset where children learn to live together close to farm animals: pigs, sheep, goats and chickens. The interest in nature and health can be found through out down to the dinner table since all the food served is organic. Patricia Rawlingdson Plant, the founder of Mill on the Brue, attempts to share with the children this love of the environment "We teach them to recycle. Different types of bins are available to get them used to sort out their rubbish (tin, plastic, paper)". Approximately forty activities are on offer such as trekking, archery, canoe, climbing. English courses can be organised on demand. "The youngsters that we get are 95% English speaking." Reminds Patricia Rawlingson Plant. " We believe therefore that for a child who is not fluent in English, the immersion would be such that there is no need for additional lessons. However, we are prepared to organise them if the parents do so wish." Capacity: c. 50 children per week aged between 8 and 15. This camp is situated at Belmont School in Surrey, less than one hour from London and specialises in day activities. They take children from the age of four. A&C Holidays offer for the young ones a wide selection of activities all around the idea of Fun and Games: sand castle competition, lego playing, cooking, drawing and fancy dress. The 9-14 year olds also have some specially selected activities. For instance `the Junior Teen Camp' where they can learn to light a campfire, build a tree house, master archery and survive in the woods. All in all, seventeen different options are available to them amongst which are computing, judo, swimming, cycling. The most sought after activities are horse riding and woodworking. `For horse riding it is advisable to book at least a month prior' warns Ian Williams, in charge of bookings. This type of day camp is very sought after by London parents who are less willing to let their children spend the night away from home. A bus picks the children up in the morning and drops them off in the evening. Capacity: 70 children per day aged between 4 and 14. Cost: £185 per week £55 for transport per week. An additional £50 for the horse riding option. Full board possible for the option "English Language Course". Without doubt the largest holiday camp company of our selection. PGL counts 25 centres around Europe ten of which are in Great Britain and six in France. The activity list has obviously been designed according what most of the children want and as a result anything and everything goes: golf, Kayak, surf, football, horse riding, mountain biking. The option `Multi Activity' enables the child to experience approximately 30 different activities in the same week. For those crazy about sailing, Tan Troed and Royal Oak in Wales are the only two camps to offer sailing and windsurfing. Christine, a French woman who lived in London for a while, has previously sent her two daughters Elvire and Alyzée, aged 9 and 11 respectively to two PGL camps in England in the summer of 2002: " The younger one came back absolutely raving about her pony camp. She was fully immersed in the English language because the camps are made out mostly of British Children. The older one, Alyzée, chose the Multi-Activity Option. On the whole, she was quite happy although she had a small cut that put her out of action for a while. The organisers had not been able to disinfect it properly." In order to avoid this type of small incident, it may be wise to give your child a small emergency kit containing disinfectant wipes and plasters. Children from 7 to 17. Hi, for a great day summer camp in French, you could look at French and Music Ensemble, a creative music camp in French for 8 to 12 year olds. Activities consist of ensemble playing, singing in French, rhythmology drumming, tailor-made French classes in small groups. Final performance in front of parents and friends in the theatre of the venue. Music teachers will come from Paris. Up to 18 children. Open to all levels of music and French language. From the 22-26 August 2016. I am looking for french speaking holiday camp in UK. Is there any?, even day camps? I live in North West London. Thank you in advance if you got any information. First allow me to introduce myself: I am Denis Douaglin, a French primary teacher born in 1964. For a number of summers I’ve been in charge of a holiday teenager camp as instructor. The aim is to visit London and the south of England by minibus and of course to enjoy ourselves while sharing life on the English camp sites. Next summer, I would be pleased to work in an English camp to improve my knowledge of English culture and practice my English. I you are interested by my profile, please feel free to contact me. You may like to know that’ll be free in July. Readers may also like to know that Summer Boarding Courses (http://english-summer-school.co.uk) also offers four summer school opportunties in four different UK locations, including Oxford, Cheltenham and Nr Salisbury for children from all over the world aged 8-16. Courses involve improving English language skills but also include a range of interesting activities and excursions.